I’m an #AmazonRisingStar for 2015. Big news this week: Amazon have selected me as one of there Rising Stars for 2015. I know – who knew? So, naturally, had to share the news on the blog with you guys. 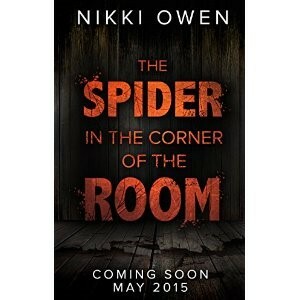 The selection is for my new book – The Spider in the Corner of the Room – out worldwide in all good bookshops on 4th June. Not plugging this or anything (plugging it), but you can pre-order now. The link’s below. Spider is the first in a trilogy about Dr Maria Martinez, a plastic surgeon with Asperger’s who find herself in prison for the murder of a Catholic priest, only she has no memory of the murder. So, thank you, great blogger, for following me all this time. We are all #teamspider. Hell yeah. 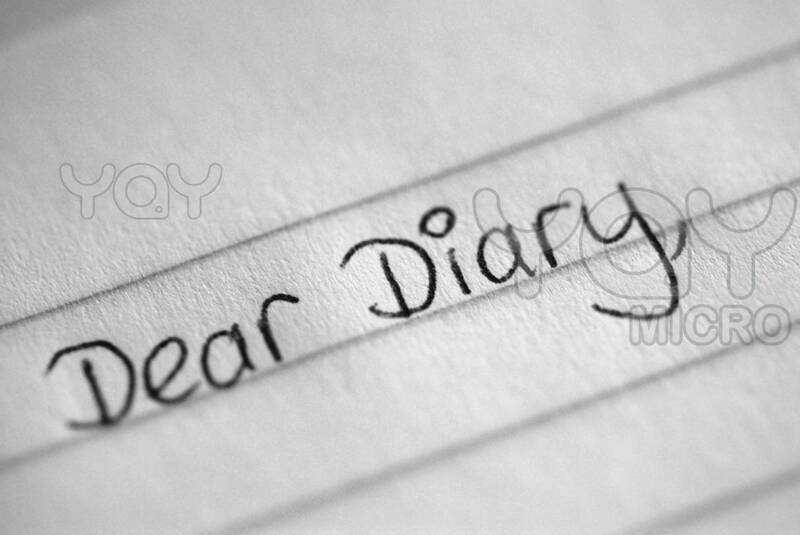 Ok, so, a LOT is happening, but still I cannot divulge events. Not specifically. Not yet. But hold on! Soon, I can tell you what’s a foot writing wise for me, and it is BIG. So, until then a) thanks for hanging on (it’ll be worth it, promise), and b) here’s something for you to read that I wrote earlier. It’s a column I did last year for the Citizen and Echo, and it’s about the future. Not in a sci-fi/fantasy way, you understand, although that, to be fair, has a lot going for it. Step forward The Hunger Games. And Spock. No, this piece is about how while sure, the future and our planning for it is good, seeing what we have in the here and now will get us equally far in life. If not a little further. In 1988, the LA Times asked 30 futurologists what life would be like 25 years in the future. Some predictions they got right, like knowing we’d all end up with Satnavs in our cars, use emails to replace paper, or teleconference via Skype. Others they got utterly wrong. Robotic man-servants were one failure (or not, depending on your viewpoint), and body paint that protected against radioactivity was another doomed prophecy. Thing is, what we tend to do, us people, us humans, is spend our time forecasting what the future will bring. We can’t help it. A bit like running away from something scary, we’re inbuilt to guess the future, to envisage technologies, to foretell catastrophic world events. It’s like a whole new way to be nosey, just with permission. And so to pondering on our own lives. 1988, the year the report was compiled, found me at 14-years old, my mind on Madonna song lyrics and my heart won over by Morten Harket from A-ha. Days, weeks would be spent gabbling about our futures. It was our topic du jour, desperate as we were to know what was going to happen, to predict like some cosmic crystal ball what was in store for us. Some of it I got right. I did go to University, although no one could have predicted the almost world-record breaking amount of times I missed the final two lectures each Friday afternoon to hit the student union bar early. And married, I got married, happily, gladly and without the need to be dragged down the aisle. But there comes a point when this wondering about the future has to stop, and you come to realise, in the twilight of the day that it’s not about what’s ahead – it’s about what’s happening now. See, spend too much time pondering the future and you’ll miss things, you’ll miss life. Family, friends, the daft little things that make you smile. Watching your kids in school plays. Belly-laughing on a rare night out. Because that’s the stuff we have, the here, the now, that’s the gold. Obsess instead with prophecies and we end up with a future we didn’t intend to have all because we ignored the present we did. Yes, our futures are important. Yes, heck, we need ambition, but I’m going to try concentrating on today. That way tomorrow will come all by itself. I feel like I’m on Mission Impossible. You know that bit in the film when Tom Cruise gets the note and then it will, ‘destruct in 5 seconds’. You know that bit? Well, that’s me now. Not that I mean I’m Tom Cruise, you understand, although, to be fair, I did have a poster of him on my wall from the Top Gun days next to Goose. Ah, lovely, sweet Goose. Anyhoo, I mean here the destruction note bit. By which I really mean, a lot is happening writing wise that I STILL cannot divulge and if I told you, I would explode (not really). Safe to say, it’s all good, but still, I am keeping quiet for now until the whole lot is finalised. So, in the meantime, I have decided to unearth a Citizen and Echo column I wrote last year about books, funnily enough, and, specifically, what we can learn from within them. Turns out, it’s lot. But hey, you knew that, right? There’s a lot you can learn from the pages of a book. From as early as I can remember, my life has been directed by the novels I have read. Rules on friendship? Try Mallory Towers. Want to know about poverty and the shame of society? Charles Dickens is your man. Need to understand how to talk to a boy without turning the colour of a beetroot? Have a Jackie annual. Books, novels, the words on pages – they affect what we do, the way we think. They shape who we are. As the years have gone by, the learning I glean from books has changed just as my life, the rollercoasting, boat-journeying time that it is, has changed too. Bleary-eyed and strung out on broken sleep, my first few months of motherhood a decade ago were saved by books. Sleep. Sleep was our heroin back then in those hazy first weeks. We craved it, fantasied over it, endlessly talked about it. We would have dreamed about it save for the fact that to dream you need to, you know, sleep. Desperate and, quite frankly, shattered, I turned to a book for help – and it worked. The book, the words, the instructions, the delightful, exquisite advice it gushed meant our new baby, finally, slumbered and so too did us zombied parents. As our children grew, so did my reading quota. Terrible two issues? I’ll have a book about that, thank you. First day at school and feeling sad, oh child of mine? I think I saw a picture book in the library on that, my girl. But it’s the good times, the good advice that stays with you, that shapes your thoughts, how you act, what you do. My girls are fast approaching teenage years and while I look forward to it, I am also – shocker – apprehensive. But it’s okay. I’ve got it covered – I already know what book I’m going to buy. I can’t say much. I know, what a rubbish blog post is that, right? One that can’t tell you anything. What a muppet. Thing is, a lot is happening with my book and, being a superstitious lass, I best keep my mouth reasonably shut about it until all is signed and sealed. I toyed with writing a post at all since I can’t waffle, but it’s been a while, so what I can say, for now, is this: I am so excited, so off my head with news about my book that, 6 nights out of 7 I cannot sleep. It’s all worth it, though. And, when I can spill the beans, I’ll be right on here to let you know. But, thing is, while it’s all very exciting, while my fingers are crossed solid for a very successful 2014 writing wise, here’s the thing: some things never change. I am still me. I still mess up royally. I still fall on my backside after tripping over on NOTHING. I fall off ski lifts BEFORE I get on them. I have kids who puke on me. I have knees that (literally) creak when I go up stairs. And that – those things – they are the funnies that keep everything real. Because life is bloody funny. And messy. And wholly nuts. And we should ALWAYS laugh at ourselves, because, otherwise, we end up taking ourselves far too seriously. So, to the story. One day, let us say three years ago, we were returning from a brief family trip away. At the time our girls were aged 7 and 5 and at an age when we needed to stop at the delightful motorway services for a nature break or three. My bladder never quite being the same after two babies (sorry, men folk), I also needed to stop. The girls having now falling asleep, we agreed that I would nip out to use the facilities and run back. Now, it is important to point out here that I was , even then, in the iron-grip of writing and had a deadline to meet for a Guardian travel writing competition. Needless to say, I was keen to get out and get in with maximum speed and with my skirt not in my knickers. All goes well. I run in, do what I need to do, and then, my mind on the Guardian job, I sprint out of the automatic doors and into the car park. Scanning the cars, my impatient autopilot kicks in, and, spotting our red Freelander, I peg it over and, hauling the door open, throw my self on to the passenger seat panting, ‘Come on! Let’s get a move on!’ Now, I don’t know about you, but do you know that dream when you are walking somewhere and then you look down and you are completely naked, in the nuddy, and you feel a wave of mortification wash over you? Can you recall that feeling? Well, this feeling is what came over me when, glancing from the corner of my eye I notice that the car seats in the back are different to my girls’ seats. Strange. And then my eyes fall to the seat covers – leather. What the? Ours are fabric. And then it hits me. I am in the wrong car. The wrong car. I look up to see a man, mid-forties, balding, frowning, staring at me, mouth agape, finger, probably, hovering over 999. ‘OhmigodI’msorry!’ I blurt, and, faster than you can say, ‘naked dream’, I am out of that car and breathing like a phantom caller in a film sketch scanning the parking lot like a crazy woman. When I eventually locate our family car, my husband and girls are in fits of laughter, the whole sorry episode not having missed their unforgiving eyes, and it has made their day. ‘Mum got into a strange man’s car!’ they yelp. ‘Just drive,’ I mutter. But it is a good five minutes before we can leave because my husband is laughing too much for his eyes to focus.